Is Adenan the hero we have all been waiting for? 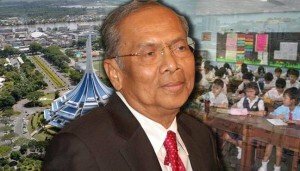 Last November, the Chief Minister of Sarawak, Adenan Satem, defied the Umno Baru puppet handlers, in Putrajaya, and forged ahead with his latest plan to make English an official language of Sarawak, in addition to Bahasa Malaysia. So, will Adenan become the unsung hero, not just for Sarawak but for all of Malaysia? As expected, the architects responsible for racial and religious division in Malaysia, came out of the woodwork to criticise Adenan. Besides being attacked by Perkasa, one particular critic was the former minister for Information, Communications and Culture, Rais Yatim, who is the current Social and Cultural Affairs Adviser to the government. Rais is being disingenuous. Whilst we have many distasteful memories of him, we do not remember his promotion of culture and national unity. 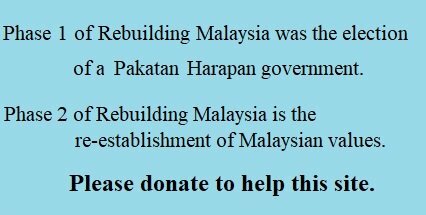 What has Rais done for the Sarawakians, during his tenure as minister? Moreover, Rais has no say in the affairs of Sarawak and anyway, the chief minister knows that his people are behind him. Rais also had the cheek to say that the move should have been debated, and a consensus of opinion reached, before being announced by Adenan, because ‘it involves the Federal Constitution’. Since when do Federal ministers debate? Najib Razak, down to his most junior minister, are all fearful of performing dismally in debates. 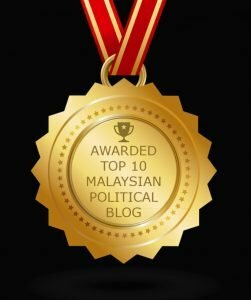 In 2012, former Opposition leader Anwar Ibrahim challenged Najib, several times, to debate, but Najib refused, claiming that political debate was not part of the Malaysian culture. If Khairy Jamaluddin had to fly to London, to have a debate with Rafizi Ramli, at a United Kingdom and Eire Council of Malaysian Students (UKEC) event, who is Rais to suddenly pretend that a debate was all important? Rais is aware that the country is divided along several lines. Race, religion, royalty, rural people and regional divide; Sarawakians remember how the word “Allah” was used to divide Malaysians. Sabahans remember ‘Project IC’ which altered the country’s demographics. Rais should remember that Sarawak and Sabah are not states, to which he, or any minister, can dictate terms. These East Malaysian entities are on a par with Peninsular Malaya. Both men, Adenan (71) and Rais (73) attended western universities. They value English as a medium of communication, knowledge, commerce, science, literature and entertainment. 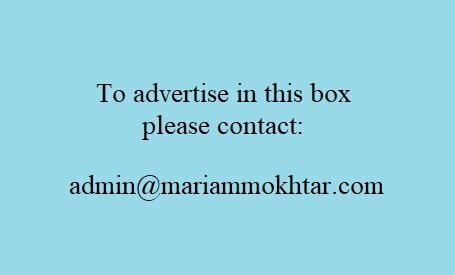 Most of the information, found on the Internet, is in English. It is commendable that Adenan is able to appreciate that the use of English is important in global communications, whereas Rais appears to be stuck under his tempurung. Adenan said, â€œI am just being realistic as English is a language used in commerce, science and technology among the international community,â€ he said. â€œIf you don’t speak English, you will be left behind. If the truth be told, Rais is simply expressing the fears of Umno Baru. He is afraid that if Sarawak adopts English as an official language, it will forge ahead in many fields, especially trade, employment and education. The Sarawakians will be more marketable than jaguh kampung. By comparison, the Malays, who insist on clinging onto Ketuanan Melayu, will be left behind. Rais is also afraid that the tri-lingual Sarawak civil servants will be considered superior to the mono-lingual Malay civil servants, when on transfer from the peninsula.